As the title suggests, these are going to be 'dos and don'ts' of wedding dress shopping. As I say in every post like this, these are my opinions and if you disagree with any of them, then that's completely fine, in fact, if you do disagree or you did anything differently when shopping for your bridal gown, I'd love to hear about it in the comments! 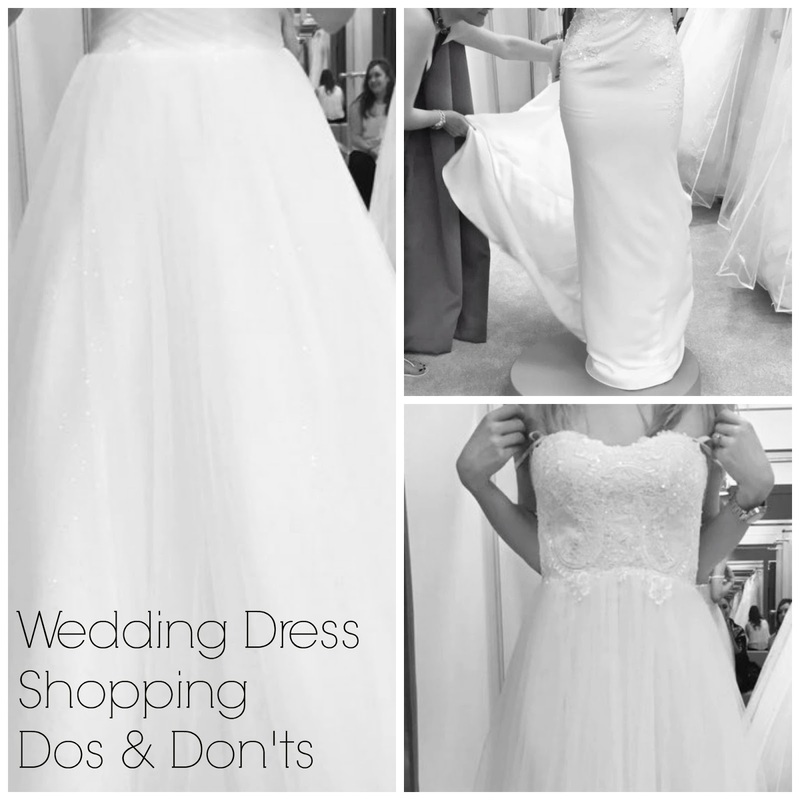 So, these are my own personal dos and don'ts for wedding dress shopping! Don't take too many people. The first of my tips is one that I did follow and I'm glad I did, but I know it's one that can sound a bit boring! When first talking about dress shopping, I excitedly discussed with my (six!) bridesmaids, what I had in mind and at first, I was convinced that they'd come dress shopping with me, along with my Mum, Darren's Mum, Darren's sister, my Nans.. you name it. When it came to it though, I kept it simple. I went to three shops in total, the first time I was with my two best friends and my sister, the second time, Darren's Mum and my Mum and then finally, when I went to the shop I ordered my dress in, I was with my Mum, my Sister (and Maid of Honour) and little cousin (who's also one of my maids!). In the end, this was the best thing to do. The first time with my friends and my sister got the super giggly, fun girly time out of my system, meaning when I went serious shopping (aka, when my Mum came along), I was just with a few, honest people without too many opinions flying around. So I'd say keep it simple, bring along a select few people who you know will be honest with you, but also respect your opinions. For me, my Mum, Mother in law to be and twin sister were perfect, as they gave their 100% honest opinions, but didn't try to push me in any one direction. My little cousin was also fab, as it's good to have someone who's going to think every dress ever looks amazing. Confidence booster right there!! I have to admit, I went into dress shopping with no clear idea of what I wanted. My friends convinced me though to try on just about everything at my first appointment. Though I didn't try on a ton of dresses (it's important not to overwhelm yourself! ), I did pretty much cover every shape I possibly could have in that first appointment. Even if it's just so you can rule out certain styles, I do think it's good to go in with an open mind and try on several different styles, even those you're unsure of. There were certain shapes that I was sure I'd love, that I actually didn't in the end and some that I liked a lot more than I expected. Don't rule anything out too quickly. Though I mentioned in my last point that you should try different styles so you can rule some out, I would also say that you shouldn't rule anything out too soon. For example, on my first appointment, I tried on one dress with sleeves that I really couldn't stand, so I was convinced that I hated sleeves. But then later, on my Mum's recommendation I tried another with sleeves (which I didn't go for, but still! ), that I really liked. On my second appointment I tried on a lot of dresses in a certain style and certain material that I wasn't loving, so I ruled out both. However, while the dress I've gone for is a different style, it's actually the same material that I thought I wasn't going to go for! I tried on dress after dress at my last appointment avoiding this certain material, then as soon as I tried it on (again, my Mum's pick! 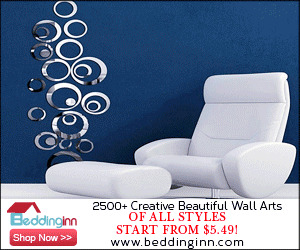 ), I fell in love instantly! This goes back to taking the right people with you, sometimes Mum really does know best! You're not always allowed to take photos in dress shops, but luckily in the shop I ordered mine at, you could. This actually turned out to be crucial in making my decision. There were two dresses that I'd really liked when trying on in the shop. One significantly cheaper. My Mum took photos of me in each dress and put them next to each other. The difference in the photos was insane. The cheaper dress just looked... well, cheaper! I would have gone for my dress in the end anyway, but this helped me make up my mind so much faster. After the wedding, your photos are all you have left to remember the day, so if you can, it's really good to see how your dress looks in pictures. A photographer will of course make it look fab, but your friends and family will all be snapping away with their phones on your big day and you want your dress to look just as good in those pictures too. When I chose my dress, I was actually due to go to another dress shop, so before ordering it, I went away to have a think and spoke with my Mum about heading to the next shop, or just sticking with the dress I'd fallen in love with. I felt like I'd fallen for my dress very quickly, as I've heard stories about people having to go to 5, 10 or 20 shops and trying on over 100 dresses before finding 'the one'. I'd been to three shops and tried on around 15 dresses, but it was THE dress and I knew it. With a pep talk from my Mum and advice from the lovely lady in the shop, I was told not to overthink it, not to confuse myself by going and finding similar dresses, just go with the feeling! You will know when it's the one and if that's as soon as your third appointment, that's totally okay! I'm so so happy with my dress and it felt like the wedding planning could truly start once I had it picked out. I think it's really nice to go to your dress appointments with your hair and makeup done as nicely as you can. You don't need to go all out bridal, as you want to save that moment for your big day, but wearing your hair and makeup in a way that makes you feel super confident will make falling in love with dresses that bit easier! I don't know about you, but if I even try on clothes when I'm fresh out of bed with red skin and messy hair, I pretty much hate everything I put on! Plus, you'll (hopefully!!) only be wedding dress shopping once, so you're totally entitled to make as big a deal of the experience as you'd like. Wear your most expensive makeup, spend an hour giving yourself a blowdry, I won't judge. Duh! But honestly, wedding dress shopping and wedding planning in general can be super stressful and it's so easy to get caught up in the mixed emotions surrounding every single step. There may be set backs, the dress you thought you loved may look totally different on than you thought, the shop you go to may not stock many of the style you love, but don't worry! There will always be other dresses, other shops and other days. Enjoy each and every step for what it is safe in the knowledge that it will get sorted eventually. And just a little bonus tip, you have to try on a big princess dress, even if it's just for fun. I literally tried on a blue Cinderella Dress from Alfred Angelo's Disney Princess collection! While it was totally not me, it was definitely a lot of fun! That's all for now! I hope this was somewhat helpful if you're a Bride-to-be, or even a Bridesmaid or Mother of the Bride helping out! Have you ever been wedding dress shopping for yourself or someone else? Do you have any tips?